Tired of your faded vinyl deck? Consider the Tufdek™ vinyl decking solution, with built in UV Protection thanks to “Cool Step,” the product with unique solar reflection that can withstand Houston’s intensely hot summers. In fact, the Tufdek™ waterproof vinyl decking system is designed to outlast any other vinyl decking product on the market (including liquid coatings). When compared against your other deck flooring options, Tufdek™ comes out ahead as the least expensive waterproof deck option year over year. We’ve been working with homeowners, builders, strata management companies, and property managers in and around Houston, Texas since the 1980s and now provide professional roofing, tile roofing, and vinyl siding services, as well as waterproof vinyl deck coverings for roof decks, patio decks, balconies, pool decks, and more. 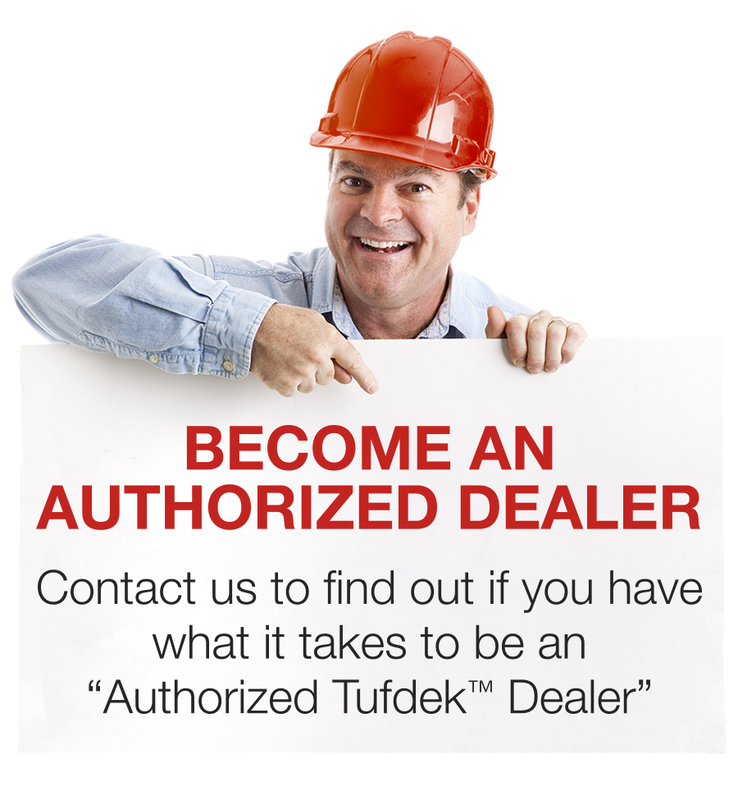 We are proud to be an Authorized Tufdek™ vinyl decking dealer and installer. Our professional, factory trained Tufdek™ installation crew provides first-rate installation of this completely integrated deck waterproofing system. Best of all, Tufdek’s written comprehensive warranty, that covers both labor and materials, will give you peace of mind for years to come. We’d be happy to meet with you, evaluate your decking project, and explain how our Tufdek™ waterproof decking system is superior to other deck products on the market. We will also provide a no obligation cost estimate for your decking project. We love Tufdek vinyl decking products and we love being an authorized Tufdek™ Dealer for the Houston Texas area. Let us help you enjoy the benefits of Tufdek waterproof vinyl decking membranes. For more information or to book an appointment, please call the Tufdek office toll free at 1-877-860-9333 or complete the following contact form and we’ll be in touch with you shortly.